Is the third iteration of Google phones all that good? This beauty’s RRP starts at $799 / £739, $899 / £869 for the 3XL, and up to $999 / £969 for the largest storage option. The OnePlus 6t comes at half the price for similar size and capacity! Really high expectations come with this price range! The screen to body ratio some manufacturers are achieving these days is incredible. In that regard, the Pixel 3 is lagging behind, while the 3 XL feels up to date. Is fair to say the online community had fun with it. Google equipped both versions with 4GB of RAM, while other manufacturers are offering 6 or even 8. Does it always matter? That’s hard to say 🤷‍. What’s easy to say is that generally more is better than less. The Pixel 3 sports an unimpressive 2,915 mAh, while the Pixel 3 XL has been bumped up to 3430 mAh. This is understandable considering the larger screen and higher resolution it has to support. Still, Android 9 has implemented many battery improvements - getting to the end of the day shouldn’t be a problem. 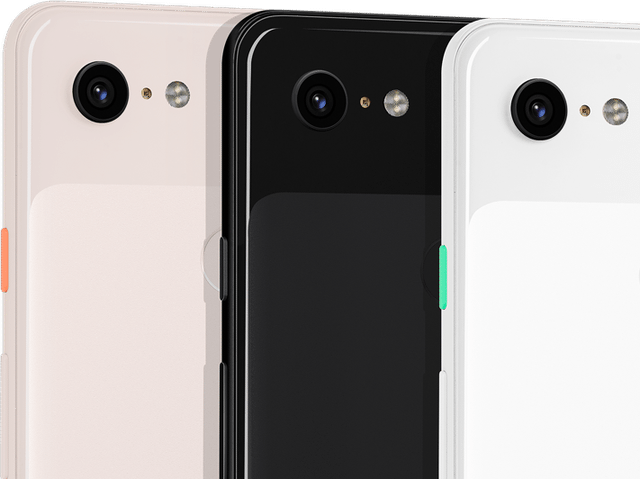 Both Pixel 3 phones are equipped with a 12.2 MP rear camera. Compare this to the OnePlus 6t's 16 MP and 20 MP. To be fair, this is possibly the only negative of the camera and it probably only matters if you need to zoom in or enlarge the images. Not happy with a plain black version? If you are thinking of getting the pink or white version prepare to stomach a bright orange or green power button. The headphone jack is being dropped by most manufacturers nowadays, no exceptions here. However, you are provided with USB-C headphone and a USB-C-to-3.5mm jack converter. Considering the very capable front cameras you would have thought face unlock would have come as a standard. Even though it’s known to not be the safest option, it would have been a welcome feature to counter the rear fingerprint reader placement. As on many other phones nowadays, don’t expect to expand this one’s capacity with a cheap micro SD. An otherwise impressed JerryRigEverything shows on the following video how easily metal can scratch the soft part of the back. Make sure to put a case on if you want to keep it looking box-fresh. Just make sure it will work in your country first. No phone is perfect 🤷. The Pixel 3 has an amazing camera and possibly the best operating system around, that many consider as smooth as iOs!